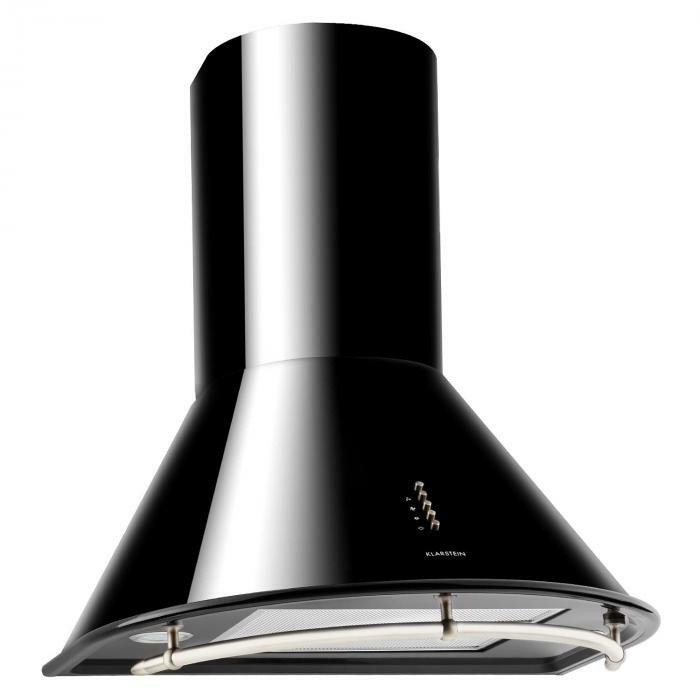 Extractor hood with energy efficiency class A, three power stages, two lamps and high-quality housing. Equipped with a nostalgic 75cm stainless steel rail for the attachment of ladles, pots and pans. 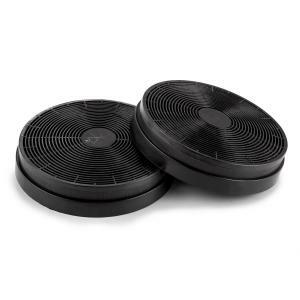 For wall mounting above the stove, includes necessary mounting material. 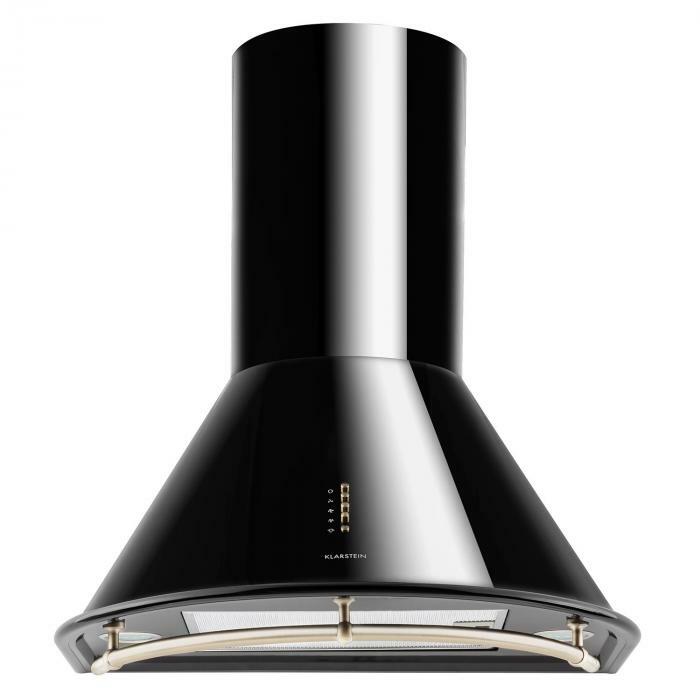 The Lumio Neo extractor cooker hood from Klarstein is an attractive addition to small and medium-sized kitchens. It attracts smells and fumes and thus ensures a good climate in the room, even with lots of cooking. In the inner workings, a dishwasher-safe aluminium grease filter protects the exhaust air channel from contamination. 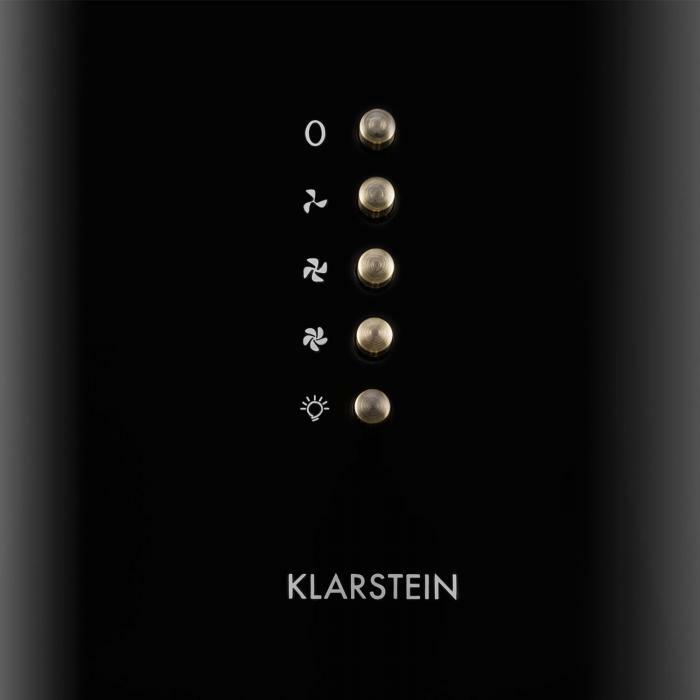 In this way, Klarstein ensures a long service life for the cooker hood. 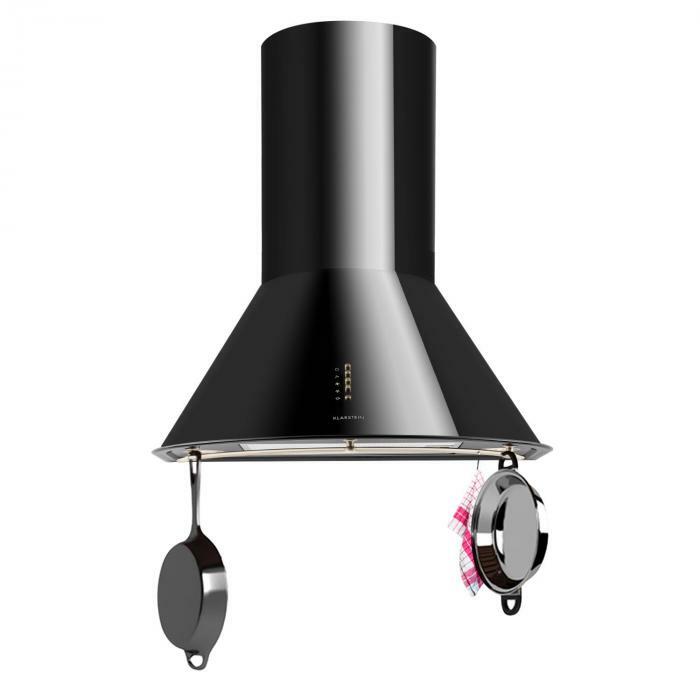 The intensity of the suction force can be adapted as required: with three power stages, the extractor hood is equipped for various application scenarios. 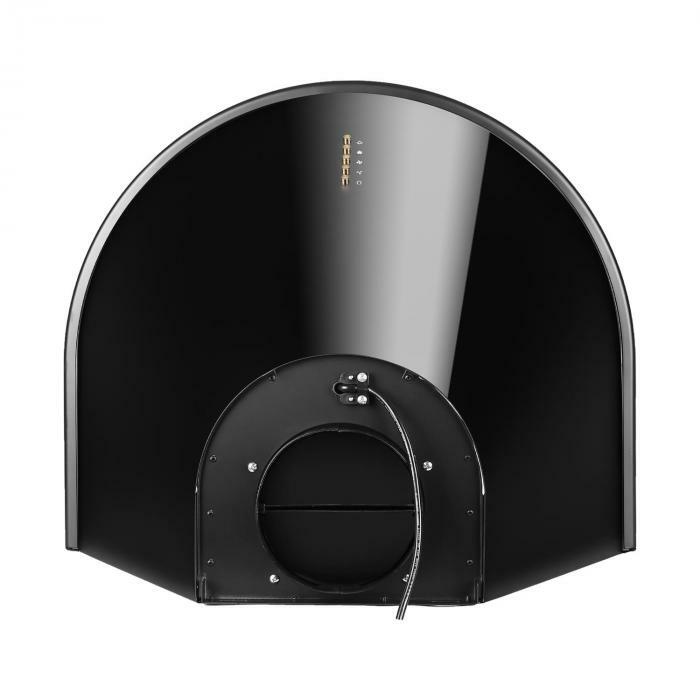 Two practical lights, recessed on the bottom, illuminate the stove when you want: keep your pots, pans and their contents in view at all times of day. A 75cm-long brushed stainless steel rail in nostalgic brass optics offers plenty of space for hanging ladles, whisks, pots and pans. 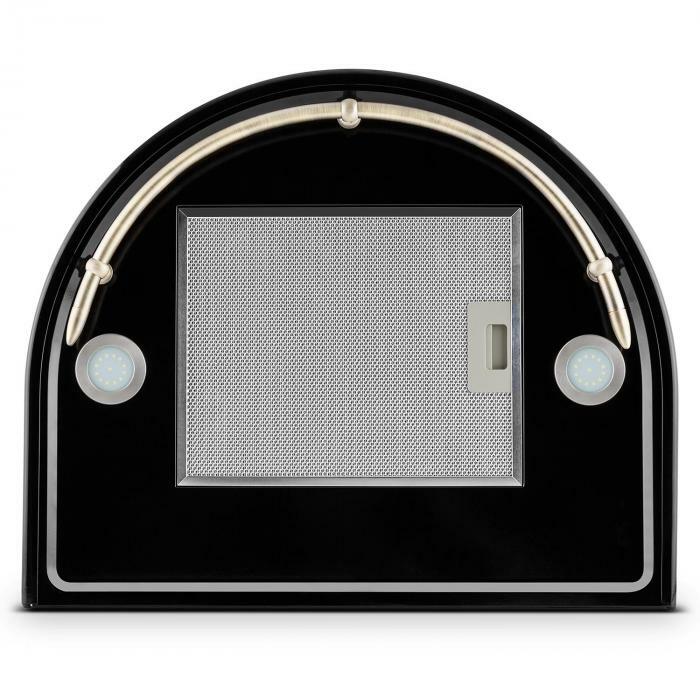 With its classic retro design and elegant look, the appliance gives every kitchen extra charm. 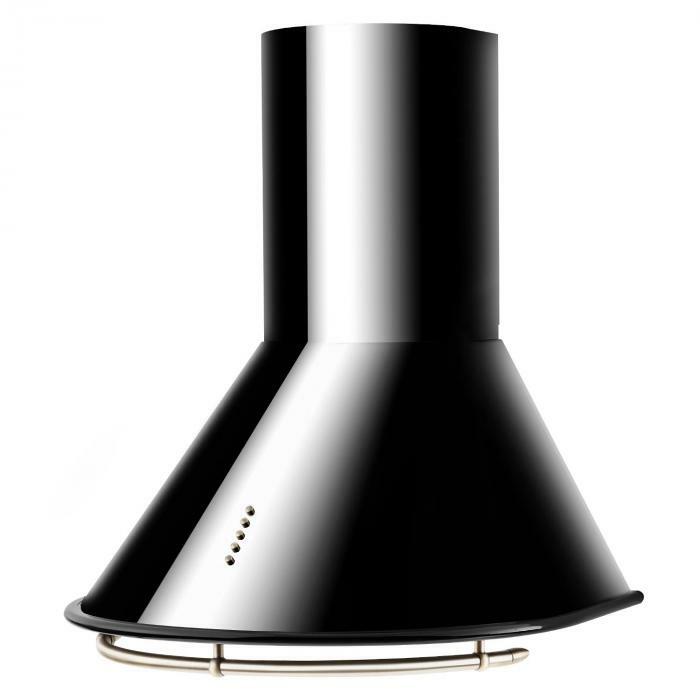 The 60cm-wide Klarstein Lumio Neo extractor hood is attached to the wall above the cooking surface. A corresponding bracket is included with delivery. 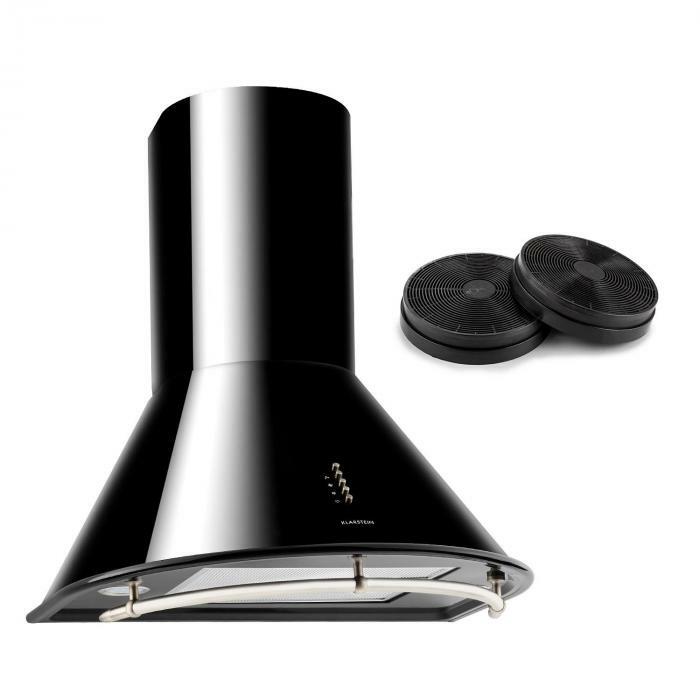 The extractor cooker hood can be retrofitted with two activated carbon filters (10027530)for recirculated air operation.